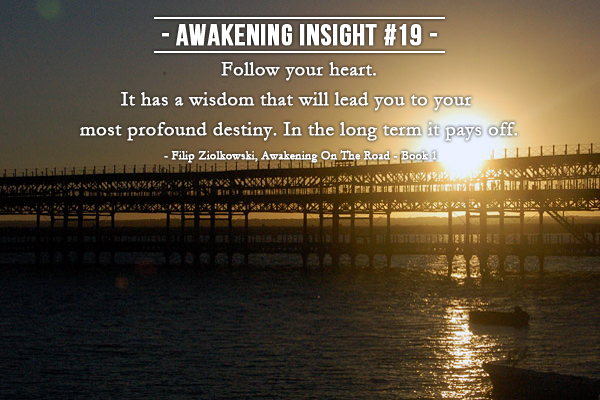 AWAKENING INSIGHT #19 Follow your heart. 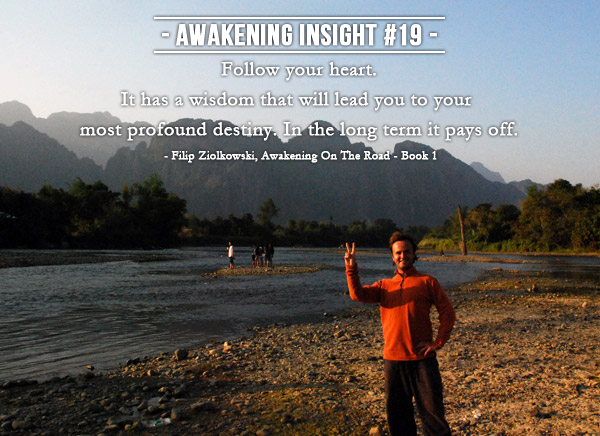 It has a wisdom that will lead you to your most profound destiny. In the long term it pays off. It has a wisdom that will lead you to your most profound destiny. In the long term it pays off.